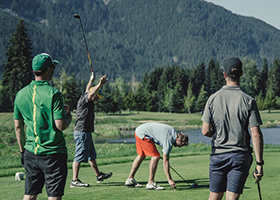 Ladies Lessons at Nicklaus North…Providing the Best Experience in Whistler. Create your own Group of 6! Customize a 4-week session with 6 friends! Program must be completed by June 21, 2019. Contact Director of Golf, Andrew Smart for availability.